Start planning your vacation to Panama City Beach, Florida today! Among the most famous attractions in Panama City are the Panama City Beach and St. Andrews State Park. The beach, with its beautiful white sand and emerald-green waters are sure to inspire awe and wonder in the hearts and minds of those who come to this remarkable place in the state of Florida. If you’re in the area and are looking for an affordable Panama City Beach motel vacationers love, drop by Aqua View Motel and experience great accommodations you’ll love to come back to over and over again. Easy beach access is located just down the street! 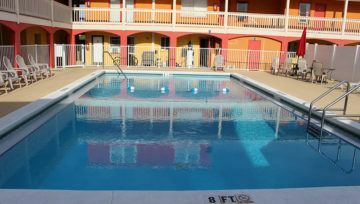 Spacious & clean rooms with flat screen TVs, microwaves and more. Kitchenettes available. Let us help you plan your next vacation to Panama City Beach. Our friendly staff is always ready to assist you with your needs – with a smile. We take pride in the warm hospitality we provide our guests from the start of their stay up to the time they leave. Our guests don’t hesitate to come back and refer our motel to friends and family due to the warm, friendly and helpful service we provide all our guests. Find out the latest information about what’s going on in Panama City Beach and at Aqua View Motel. We’ll keep you up-to-date with the best things to do while you’re visiting.